Riley Mason is sent by her firm to help ranch foreman Cal Randall with the backlog of paperwork necessary to the smooth operation of the Lost Fortune Ranch. Cal and the others were expecting a hot-shot accountant, and they weren't disappointed. But she came with baggage - a four-year old daughter, and enough secrets to have them speculating about this mysterious beauty. Because of her past, Riley isn't about to allow herself to admit to the feelings that Zane stirs in her. As for Zane, the family's avowed bachelor, he's certainly not interested in a ready-made family. Can Zane and Riley overcome the many obstacles to discover both love and fortune? 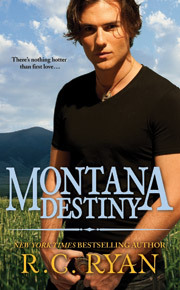 Great reviews for Montana Glory!